Pope Francis told a Swedish newspaper in November that every human being transmits hatred through malicious speech and is potentially a terrorist by simply using abusive language. Does a universal language exist? 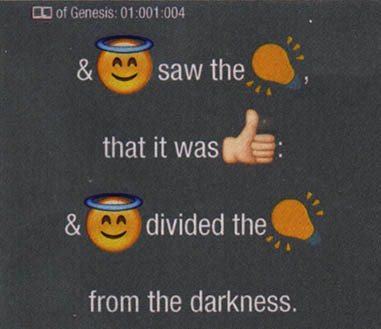 The ancients had pictographs, we have emojis! Here’s a new word: “stream cheating”. This is when you can’t wait for your significant other to stream your favorite TV show. It has also been dubbed by New York Magazine as “Netflix Adultery”. A Harris Interactive survey on behalf of Netflix said that 51% of those in a relationship would do just that. And gasp, some revealed that they would even watch it a second time and pretend they haven’t seen it.